If there are any three words that would best describe what Kidderminster is about, these would be; Humour, History and Carpets. Yes, this large town was once home to the highest concentration of woven carpet manufacturers. Even though that industry has since taken a dip, there are plenty of other things that you can enjoy while on your visit here. 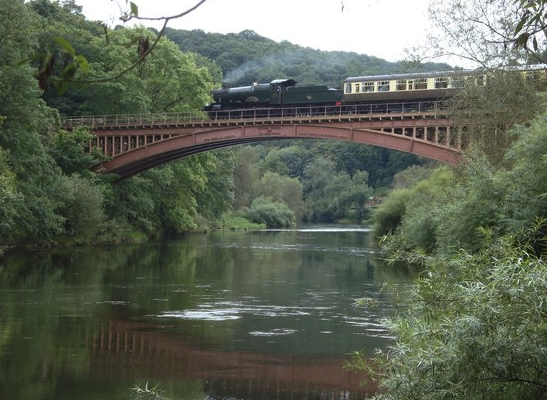 As the leading drainage company in Kidderminster, read our guide for the best places to visit. Spanning continents, millions of years of wildlife species and different animals, this park offers the most realistic distance to wildlife that you can safely approach. From a drive through in the African plains and ability to hand feed giraffes and so close that you can count the stripes on a Zebra, through to Wild Asia where you can get to see a one-horned rhino, you and your family should be fully occupied while here. Other animals that you can get to see include the great African lion and the cheetah. One of the most pivotal pieces of history in this town happens to be carpets. In as much as it is not as vibrant as it once was, this one of a kind museum paints a good picture of the creativity and dedication that the town once offered. The museum features two fully functional looms and plenty of rooms where you can get to see different exhibits from the era that was. The best thing about the museum is that the galleries are temporary and change often making it a place that you can visit more than once without getting bored. Passionate about birds? Then this centre that is run by a small and dedicated team of members that share in the same passion is where you should be. It houses over 80 birds from over 30 species some of which are from around the UK and the others from elsewhere in the world. Here, you not only get to see the impressive birds of prey at work but you also learn about taking care of them and the exhilarating flying displays that are held daily are one thing that you should not miss. This is not the kind of park that you will find in most areas. It is a great place to unleash your inner ape and have a day that you will never forget. There are plenty of interesting activities that you can enjoy among them rope and tree climbing. As the name suggests, you will be doing most of them ‘Ape Style’. With more than 1,300 animals and almost 200 different species, this is one castle that you thought you would never see. The ancient ruins from the 11th century that are the Dudley castle are located in the wooded hillside. Here, you get to see some of the world’s rarest and most endangered species in a zoo like the Flying Australian Lorikeets. Back to some indoor fun. The Boing zone has a foam pit area and trampoline launch pads that have the capacity to catapult you into a 20ft. long foam pit. It is a great place to be with plenty of fan and, a soft landing for the creative and high flying jumper. Yet another castle, yet another museum. Another great combo that proves to be fun and engaging. The museum is host to a whole lot of history and artefacts. Among them are the different toys through history, different modes of transport and travel and basically a lot of information about the history of Worcestershire. If you love closing your fun tour of Kidderminster on an educative note, this would be the place to be. There are a few places that are as diverse as Kidderminster which makes it one of the places that you ought to visit. From a heavily industrial past to a present that is filled with greenery, fun and humorous people, a visit to this town is one that you will always remember.